So you hope to build a house soon, but you're in need of floor plans to get an idea how to begin with your construction process. Well, in this homify feature, we look at 10 house floor plans that are modern and easy to consider, especially since they're for free. The great thing about looking at floor plan for a one-family house, is that it will guide your own home construction idea, when it comes to layout and orientation of bedrooms, the kitchen, bathrooms and even the garage. Interested? Well here are some awesome homes to help your architecture. 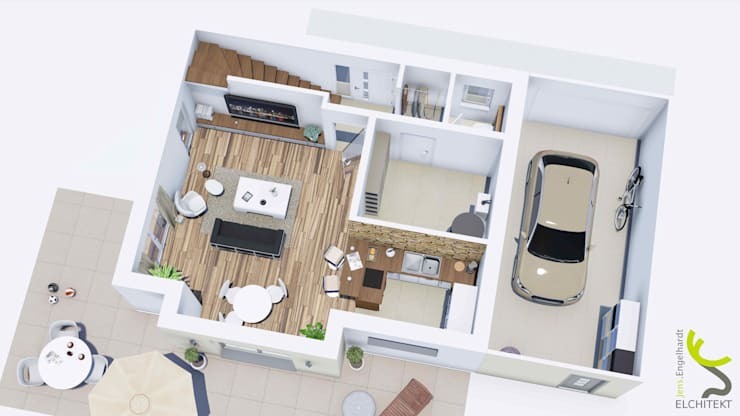 The advantage of house floor plans is that it indicates the size of a room by square metre, which helps with the visual presentation of the space. When we look at the floor plan of one-family house, we can see that the family and guests are welcomed in a large hallway. There's even a laundry area and a home office, guest bathroom and spacious open plan living area. The house floor plans even indicate the direction which the doors will swing open. The top floor of this small house consists only of a bedroom and a bathroom. 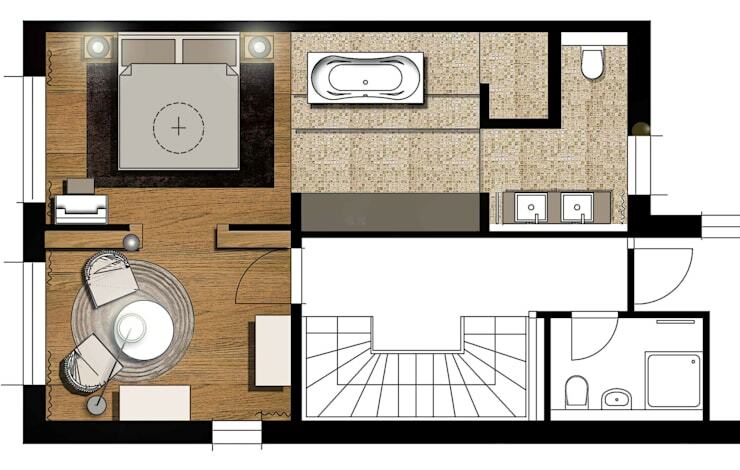 From the house floor plans we see a modern space that enhances privacy, the bathroom includes a hidden toilet, allowing the bathroom to be used by more than one person at a time, without compromising on style and private spaces. 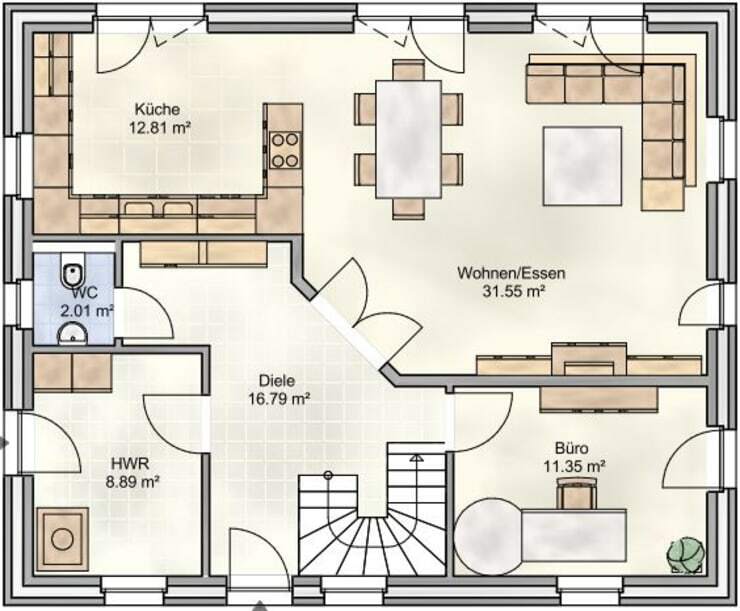 In this picture we see the floor plan of a cosy single-family house with garage. The guest enters the guest bathroom through a small corridor. The house includes an open kitchen, a dining area and living room. The room maintains sunshine and fresh air as a result of its open construction. 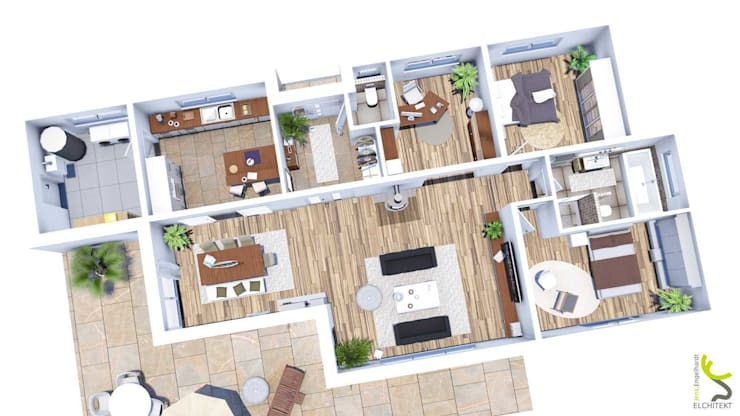 House floor plans for modern homes are now all computer rendered images, allowing the architects to place everything from the appliances to the furniture. This allows the homeowner to get a better idea of the end result so they can plan their decor accordingly. When thinking of buying a condominium, the house floor plans help you decide on the ideal model or proposed design. This before-and-after image shows how three small rooms were converted into one spacious room. The owner opted for an open-plan living space, which is more spacious and welcoming. A penthouse located high above the rooftops of a city is something special. Especially if it includes a large roof terrace, to enjoy a wide view of the city. The ground floor of this luxury apartment incorporates rooms that are different, inviting and absolutely ostentacious. From a sauna, steam bath and dressing room to a lift that goes directly into the apartment. The living area offers plenty of space for an open kitchen with kitchen island. These house plans are unbelievably modern and sophisticated. If your ideal home is located in the tropical parts of the earth, then an open living area is a must-have feature. 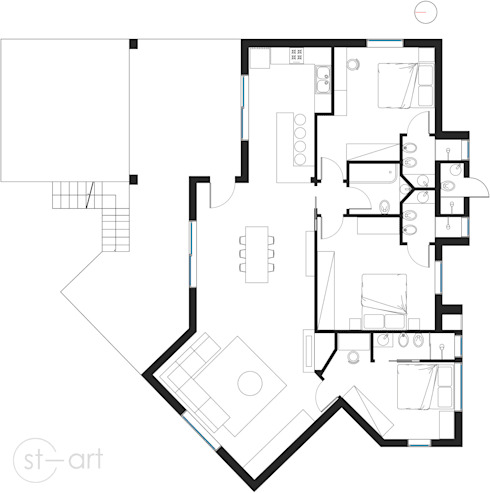 Have you started thinking about what your house floor plans should include? In the house floor plans of a modern design, the architects allowed each family member to catch a glimpse of the glorious swimming pool view from their bedrooms. Each bedroom maintains privacy with an ensuite, allowing the family to enjoy their separate spaces in sleek style. The house floor plans of this modern multi-storey dwelling showcases the extraordinary architecture that this luxury villa has to offer. The ground floor and the first floor have the usual living areas, while the top floor is crowned with a large roof terrace and a fantastic view of the pool. 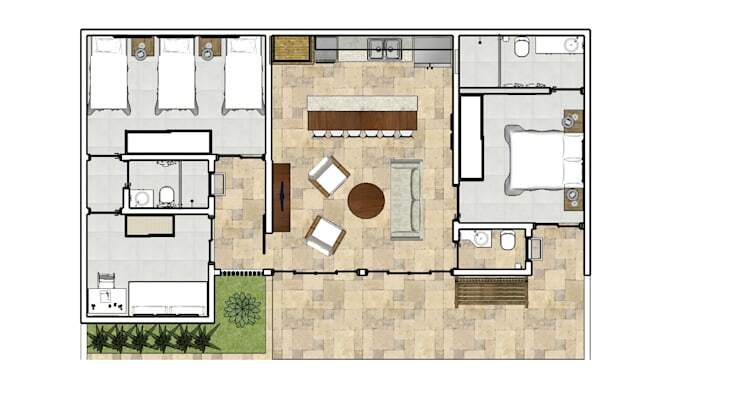 Our final architectural floor plan showcases a square house that is practically perfect. 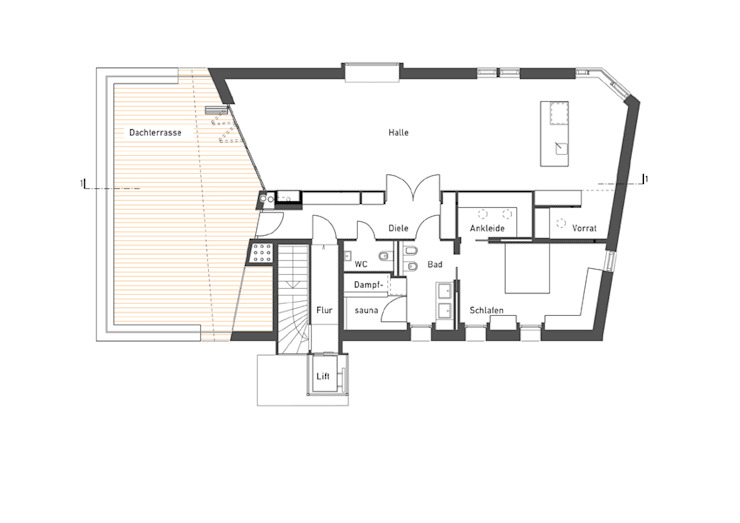 The floor plan of this single-family house incorporates slanted walls for and cosy sofa corners. Here we see that every bedroom has a private bathroom with shower, while there is an extra family bathroom with bathtub, accessible from the hallway too. Have a look at The perfect colour palette for the house facade. 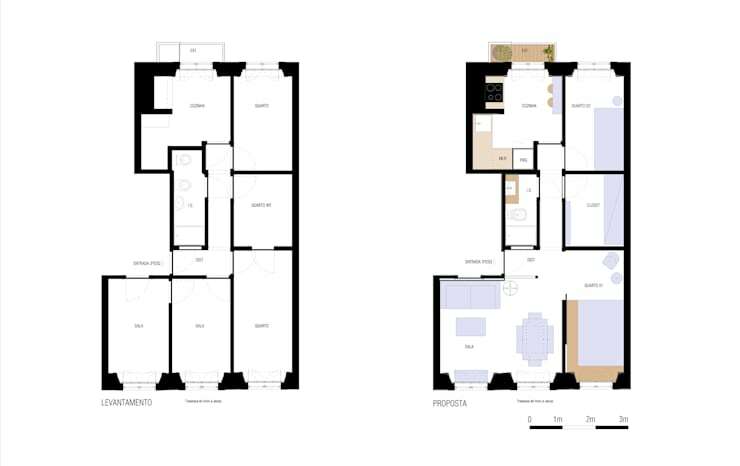 Will you make use of these house plans?